Do you feel like The Sims 4 Maps are missing out on a few more details? You’re in luck because a talented graphic designer FilipeSims has been working for months to bring you new Maps that you can use in your game! With the help from DerShayan these Maps have been implemented into a simple .package file – more specifically, each World Map redesign is packed into one .package specifically. However, all of these Maps can be downloaded on one simple page that we’ve linked down below. 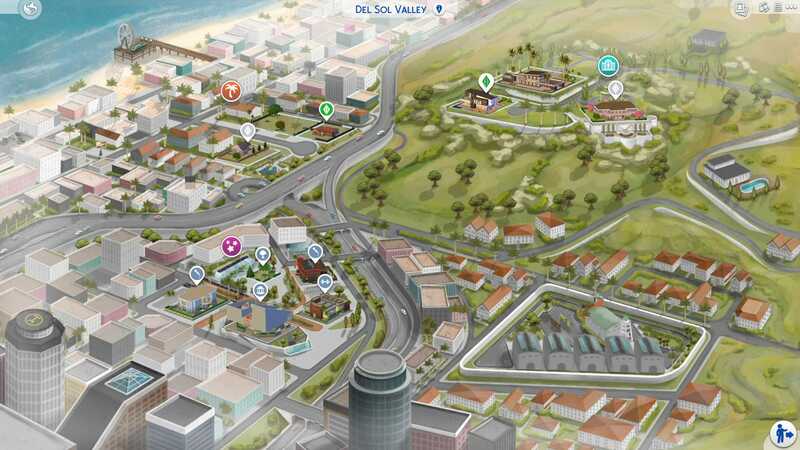 All of the maps from The Sims 4 have been redesigned, including the ones that we’ve received with Expansion Packs and Game Packs. To download these fanmade maps, simply click on the button down below to be directed to the Map Download page. From there select the Maps of your choice, download them from SimFileShare and extract them to Electronic Arts > The Sims 4 > Mods folder. Make sure that you’ve enabled Mods / CC in your game options! These map replacements work beautifully in the game and co-operate really well with the lot spaces as you can see in the screen below. Actually not all TheSims 4 worlds. There’s no custom map for Selvadorada. Or I’m mistaken? Yes, There is a granite falls map but not a Selvadorada, maybe because (in my opinion) Thats the best world in terms of landscape the he felt there was no need to do one for Selvadorada? Question, I’m on sims4 Xbox one…how can I get it on there? I downloaded these maps they are all amazing hey. Does it give u a virus??? NOT all worlds, no selvadorada. I got so excited when i saw this title thinking they finally made a map for it but nope! Faltan los mundos Selva Dorada Y el nuevo Strange ville.